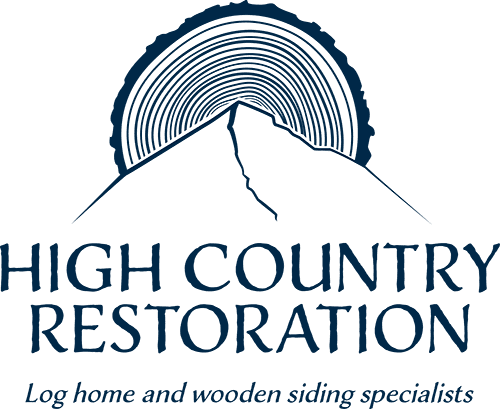 Whether a new home or a prized piece of history, log homes need proper protection. Log homes are known for their energy efficiency. In order to maintain this performance, proper log chinking and caulking is vital. While caulking is the process if sealing smaller cracks around windows and doors, chinking repairs anything over 3/4 of an inch wide, preventing moisture and insects from taking up residence. The art of log home chinking. Before sealing the gap, our team inserts a rod or backing to help the chinking material adhere to the entire area. First we check for damage — you never want to chink over rot or debris. We then apply an acrylic chinking material with specially-designed chinking guns — we believe that professional results require professional tools. This professional-grade acrylic chinking expands and contracts to temperature changes and is impervious to UV light — critical in our ever-changing mountain climate. Although caulking deals with much smaller cracks, the process is just as important. We use an acrylic caulk, available in different hues of color to best match your home, and apply with precision. 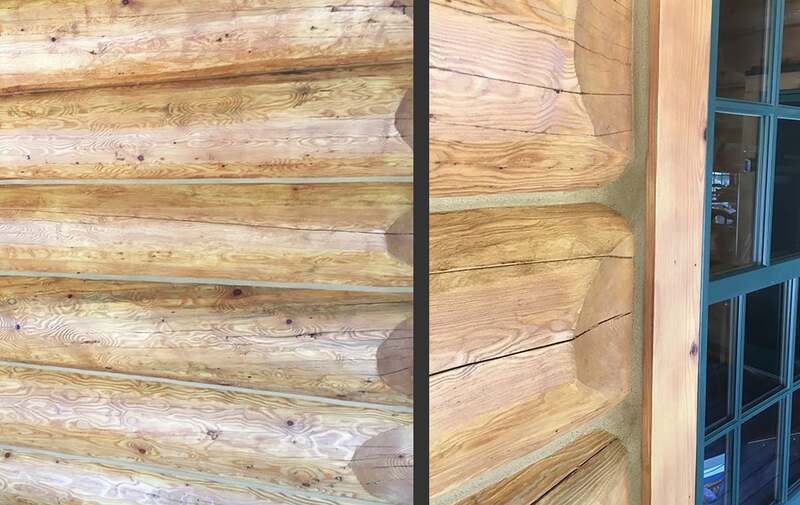 Professionally applied caulking can preserve your log home from damage brought on by moisture and pests. It also ensures your log home is preserving energy, keeping utility bills low. When executed properly, chinking and caulking can effectively preserve your home, providing a barrier against the elements for years to come.